On Dec. 3, 2013, Guardian editor Alan Rusbridger faced questions from the British Parliament about his newspaper's decision to publish material leaked by former NSA contractor Edward Snowden. And just as The Guardian was covering these massive stories, Rusbridger was also dealing with serious challenges to the journalism industry itself. While many newspapers at the time were establishing paywalls, under Rusbridger's watch, The Guardian created an economic model in which online users were asked — but not required — to pay for the newspaper's content. It's a model that seems to be working. "Last week, my successor's editor announced they now had a million readers who are now contributing to The Guardian in order to keep it open to everybody," Rusbridger says. "I think that's rather miraculous. It's called philanthropy, and that people want to be philanthropic about news is amazingly encouraging." Rusbridger now serves as chair of the steering committee at the Reuters Institute for the Study of Journalism. His new book is Breaking News: The Remaking of Journalism and Why it Matters Now. We have the Pentagon Papers case of 1971 to thank for the fact that it established a ruling at the Supreme Court that said that the government can't walk into a newsroom and injunct them and prevent them from publishing. You can certainly hold an editor responsible in retrospect, but you can't stop them from publishing, unless you can show overwhelming cause. Now, in Britain we don't have that, and I always suspected with the Snowden story that there might come a point where the government would walk into the Guardian offices and prevent us from publishing — and that's exactly what they did. In fact, they demanded that we smashed all the computers on which we were storing this material. But I also knew that, again, [with] a partnership with The New York Times, that the First Amendment and the effect of the Pentagon Papers ruling meant that the American government could never do that, and it was a much more permissive environment to publish out of New York than out of London, sadly. It turns out that it's remarkably difficult to damage a computer so that it's of no use to anybody else. It involved a very elaborate, dusty, noisy morning in the basement of the Guardian with drills and angled drivers and ... all kinds of weird equipment destroying specific chips and bits of the keyboard, bits of the hard drive, and bits of the memory board under the watchful eye of GCHQ [the Government Communications Headquarters]. That's the equivalent of the NSA technicians. In the modern world, it is very difficult to prevent good information (and sadly, bad information) ... from being published, because it's like water, and you can't you can't control it in the way that you could even 50 years ago. Assange and Snowden are often bracketed together as though they're the same; in fact, they're almost opposite. If you think what Edward Snowden did was to hand over his material to journalists, three or four journalists including The Washington Post, and said "You choose," and once he handed it over he played no part in any of the editorial decisions. Assange is, I think of as an information anarchist. He doesn't really like journalism or journalists, and he doesn't believe in the idea of gatekeepers, of people who are the arbiters on society's behalf, of what they read or not. So his instinct was just to dump all the information out there and people could read it and make their minds up. They're obviously very different approaches and he was a difficult man to work with for that reason, because we thought we should be redacting and reading for libel and for potential damage, and for many dangers on our horizons. So in the end, I did think we were the only people in the world who have fallen out with Julian Assange, but it became an impossible relationship. We had a wonderful theater critic called Michael Billington, who had been on the staff since 1972, and we always wanted Michael to be in the stalls on the first night of a big production. But would anybody think that out of 900 people in the audience he was the only person with an interesting opinion? No. Nobody would argue that today. And would it be interesting to hear from some of those 900? Well, of course ... 30 people might want to do that, but you would then have 30 different views. What would happen if Michael then had a dialogue with those 30 people? They could see things that he didn't, and vice-versa. It is that idea of involving different voices in the act of criticism — is [that] a terrible idea? Is that a good idea? If we don't do it, someone else will. Then you get back into the ethos of the four billion people talking to each other, which has to be a powerful idea. Otherwise, all these people wouldn't be doing it. These were our attempts to fumble towards an idea of what we call "open journalism." You might think that at this time, of all times, people will turn to journalists. ... Whereas in fact, all the polls on trust show that journalists are not generally trusted. So I think you have to say how would we regain trust? And I think it's not enough just to say, "We're journalists, trust us." I think social media has some answers. If you look at the best of social media you have some very good, intelligent, funny, expert people who are talking to each other and listening to each other and responding to each other. They don't say, "Trust me," they say, "Here's my evidence. Here's my link. Here's my screengrab. This is how I know, but if I'm wrong, tell me." And it's a different kind of information sharing and a different kind of dialogue from the printing press model, which is, "Here is the paper and we essentially are not very interested in hearing from you." This is FRESH AIR. I'm Terry Gross. Our guest, Alan Rusbridger, knows a thing or two about high-stakes journalism. In his 20-year tenure running the British newspaper The Guardian, he collaborated with WikiLeaks controversial founder Julian Assange to publish stories based on classified material from Army soldier Chelsea Manning. Three years later, Rusbridger was hauled before Parliament to answer for publishing material provided by Edward Snowden about NSA surveillance of American citizens. And he took on the powerful Rupert Murdoch by pursuing an investigation of Murdoch papers' hacking of private citizens' cell phones. The revelations led to firings, lawsuits and criminal prosecutions. And Rusbridger did all that while grappling with the wrenching changes newspapers faced in the digital age, including the hemorrhaging of advertising revenue and competition from free, online news sources. Alan Rusbridger gave up the reins of The Guardian in 2015. He's currently chair of the Reuters Institute for the Study of Journalism Steering Committee and a regular contributor to The New York Review of Books. He spoke with FRESH AIR's Dave Davies about his new book "Breaking News: The Remaking Of Journalism And Why It Matters Now." DAVE DAVIES, BYLINE: Well, Alan Rusbridger, welcome to FRESH AIR. There are some great stories about great investigations in this book. A lot of the book is a chronicle of how your newspaper, while you were the editor, tried to understand and respond to the changes of the digital age. You know, the Internet killed classified advertising, which was a main financial prop to the newspaper industry. And it's fascinating to read this. We see you talking to consultant after consultant who professes to know what's coming, and they're usually wrong. It's certainly been a very rough ride for daily papers in the last 25 years. Many have closed. Many have cut back. And there is a view that newspapers made a big mistake in the early days of the Internet by putting all of their content online for free. I think Alan Mutter called this the original sin and that once that happened, people got used to free information. And you couldn't expect them, really, to pay for it again. I'm wondering your view. Was that a big mistake by newspapers? ALAN RUSBRIDGER: Well, it wasn't that people didn't try. Lots and lots of people tried. And they found it just didn't work. Why not? Well, in an age of scarcity when a few people learned printing presses, there weren't that many sources. And people, more or less, had to buy a newspaper to find out what was going on. Well, suddenly, that wasn't true. There were multiple, multiple sources, most of which were free. And for most people, that's good enough. The stuff they can get for free is just fine. So it was really difficult for newspapers in the early days - and you could argue to today - to actually persuade people to pay. DAVIES: So The Guardian, for decades and decades, has not been a profit-driven institution, right? It is really committed to public service. RUSBRIDGER: Yes. I mean, the point of the trust was that - I mean, it's now built up a very large endowment. It's got an endowment of about a billion dollars. But its main purpose is not to make profit, which is just as well because it doesn't - but to put journalism first as a mission. DAVIES: Right. And you had the dilemma all along of, you know - you knew you wanted an Internet presence. But the newspaper was still the thing that people paid for and were committed to. There's a moment you describe where a bunch of Silicon Valley entrepreneurs from the United States - West Coast entrepreneurs come in and sit down and talk with you. Just tell us a little bit about that exchange (laughter). RUSBRIDGER: (Laughter) Well, all these guys came in on their private jets. And they were all, you know, worth more than the total endowment of The Guardian. And they liked The Guardian. They read it. They admired it. And they wanted to learn how we thought about it. And we gave them our speech. And at the end of it, they said, so why don't you just close the newspaper? We don't get it. And we shifted uncomfortably and said, well, we can't do that because that's the only thing that's bringing in decent cash at the moment. And I could see them thinking, this is like Kodak. You know, these guys who are so wedded to film they can't see that digital is the answer. And they're doomed. And they said, well, what you got to do then is to get the digital guys to kill the newspaper. RUSBRIDGER: If you're not willing to do it yourself, get the new guys to kill the old guys. And we couldn't do that. And in a way, they were right. They were - what they were saying is legacy organizations find it extremely hard to transform themselves. And if you can't act radically, then you are doomed. DAVIES: So you, eventually became, primarily, a digital organization, but you still publish a daily newspaper. But the news cycles are all different. And you have a huge presence in the United States. And a lot of major newspapers have put up paywalls - The Washington Post, The New York Times. You've decided not to do that. Why? RUSBRIDGER: Well, we tried this thing in - around about 2012. We had a meeting with all the readers. And I got Clay Shirky, who's a professor at NYU, to mediate this session. DAVIES: I'm sorry. You had a meeting with all your readers (laughter). RUSBRIDGER: With - not all the readers. We had - we - I think we had about - we had a few thousand readers come into the building over the course of a weekend. RUSBRIDGER: And, you know, partly because, I think, you have to tell them what's happening. You can't assume they know what's happening to the finances of a newspaper or how you're changing editorially. So Clay asked these readers and said, you know, if The Guardian needed you to pay - there's one model that says, I will pay in order for me to be able to read it. But I don't want anybody else to read it because otherwise, why would I pay? And The Guardian readers didn't like that. And so he said, well, what about a model in which you pay in order for everybody in the world to be able to read this information because you think it's vital to have good sources of information out there. And a host of hands went up. And maybe Guardian readers are unusually philanthropic like NPR listeners. But nevertheless, that's the model we went for. And last week, the - my successor as editor announced they now had a million readers who are now contributing to The Guardian in order to keep it open to everybody. And I think that's rather miraculous. It's called philanthropy, and that people want to be philanthropic about news is amazingly encouraging. DAVIES: Yeah. I mean, philanthropy we think of as being rich people giving. This is lots and lots of ordinary people supporting something they believe in. RUSBRIDGER: Yeah. I mean, there are other examples - you know, Jeff Bezos and The Washington Post or Pierre Omidyar on The Intercept. There are billionaires who also - we took money from Bill and Melinda Gates to help our coverage of the developing world in Africa. But this was readers just saying, we value The Guardian. And we think it's important that The Guardian is a voice out there - when you Google the news, that you get something like a truthful and factual version of events. That's something we think is essential in society. I don't know if that's going to be enough to sustain The Guardian in perpetuity. But it's a very important part of The Guardian's revenues now. DAVIES: This book has some great stories about great stories The Guardian did while you were there, one of them involving British newspapers hacking people's cell phones and other unethical practices and getting information. You have this terrific investigative reporter that you've known your whole career named Nick Davies who wanted to look into the media. And he discovers that this British newspaper, News Of The World, seems to have been using private investigators and doing some really shady stuff. The tricky part is that it's owned by Rupert Murdoch. Why did that give you pause? RUSBRIDGER: Well, two reasons - one was that in the beleaguered world of news where we all felt we should be circling our wagons and shooting outsiders not shooting each other, I knew there would be extreme disapproval for The Guardian investigating another newspaper. But that wasn't a serious obstacle. The more serious obstacle was that Rupert Murdoch, because he owned 40 percent of the British national press as well as SKY TV, operated in a world in which people were afraid of him. And it turned out when we did begin to publish these stories, people just didn't want to know. The police announced they were going to investigate one morning. And later the same afternoon, came out and said, we've had our investigations. There's nothing to see. MPs - I could see the fear in their eyes. They didn't want to get involved. The press regulator published a bizarre report blaming The Guardian not the News Of The World, the newspaper we were looking into. And quite a lot of the rest of the press didn't want to write about it. So suddenly, we were very alone with the Murdoch press saying that we were lying, and this was all fake. And that's what the story eventually became about. It became about the power of the media and the disastrous mistake of allowing any one man or corporation too much power and the bad things that happen when you allow that. DAVIES: Well - and you did a remarkable thing here - is that you went to The New York Times for help. Why? RUSBRIDGER: Well, it seemed to me that we simply weren't getting anywhere. All those people were ignoring us. And so I went to Bill Keller, who was then the executive editor, and said, I think there is a story here. You might want to look at it. And I think it's an important story. And he agreed. He sent three fabulous reporters to London the following week who spent some months investigating what we had investigated. And when they published their piece about six months later, that was the tipping point because people thought, well, we can't ignore the reporting of The New York Times. And after that, the story began to unravel. DAVIES: Right. And it confirmed everything that you had reported which had been dismissed by so many people. But remind us what this uncovered, what kind of activity was going on, how widespread it was. RUSBRIDGER: Well, the crucial thing was that it transpired that the rotten apple theory - one journalist had gone to jail, and that was how the Murdoch organization had pitched it. There was a rotten apple. That turned out not to be true, that this was endemic in the newsroom. And when James Murdoch, the son of Rupert Murdoch, who was the - running the organization discovered this, he constructed really what we would call a conspiracy to cover this up. He paid off the complainants with a million pounds and had all the documents sealed. So imagine that behavior in a bank or an oil company or a car company - if you found one of the most powerful companies on Earth covering up the discovery of criminal behavior in the organization. And that was a board-level of cover-up. I think that's what we'd call a story. DAVIES: Right. And to remind people, I mean, what we were talking about here were newspaper reporter hiring investigators who would hack the telephones of - cellphones of celebrities in some cases, also the cellphones of missing children, other people. How widespread was this? RUSBRIDGER: Well, the initial story was about, I think, five more victims. In the end, I think the news was that the Murdoch organization has paid out hundreds of millions of dollars to thousands of victims. I mean, it was celebrities. It was politicians. It was deputy prime ministers. It was policemen. It was, as you say, the young girl who had gone missing and was eventually found murdered. They had hacked into her phone. That was the sort of tipping-point story. So it was - it had just become the method of the newsroom was to get information by just criminally intercepting messages and writing stories on the basis of them. DAVIES: All right, so that was cleaned up. Some people went to jail. But a lot of the top journalists, newspaper executives after a while ended up back in big offices, right? RUSBRIDGER: Yes, well, it - again, it's a sort of - it's the way - you know, I don't want to sound as though I'm obsessed with Murdoch 'cause I think he's done some fine things, too. But nevertheless, that is how his company operates, that, again, if this had been a bank or an oil company and had had an ethical catastrophe in which the best defense was that the leading executives had no idea what was going on, the thought that those people would be invited in to run the company again would be unthinkable. But Murdoch can do that. He can put his son back into his companies. Rebekah Brooks, who was the chief executive at the time and was cleared of the charges, came back and is now running the company again. And that's not how public corporations work or how public institutions work, but it's how Murdoch works. DAVIES: Alan Rusbridger was the editor of The Guardian newspaper from 1995 through 2015. His new book is "Breaking News." We'll continue our conversation in just a moment. This is FRESH AIR. DAVIES: This is FRESH AIR, and we're speaking with Alan Rusbridger. He was the editor of The Guardian newspaper for 20 years when it was coping with the changes of the Internet and the digital world. He has a new book called "Breaking News: The Remaking Of Journalism And Why It Matters Now." In 2010, The Guardian was among three news organizations that got the classified cables that Chelsea Manning had provided to WikiLeaks headed by Julian Assange. That was you, Der Spiegel and The New York Times, and you published a lot of stories on that. And then three years later, there was the Edward Snowden revelations about how the NSA in the U.S., the National Security Agency, had been intercepting communications, gathering data on American citizens without court authorization, both huge stories and fraught with a lot of tough decisions, you know, about what to include, what to redact. And one of the things you write about is the difference between British and American law and how it affects the way newspapers operate, the way The New York Times would deal with, for example, going to the White House before publication. You want to just outline the difference for us and why it mattered? RUSBRIDGER: Well, we have the Pentagon Papers case of 1971 to thank for the fact that it established a ruling at the Supreme Court that said that the government can't walk into a newsroom and injunct them and prevent them from publishing. You can certainly hold an editor responsible in retrospect, but you can't stop them from publishing unless you can show overwhelming cause. Now, the - in Britain, we don't have that. And I always suspected with the Snowden story that there might come a point where the government would walk into The Guardian offices and prevent us from publishing, and that's exactly what they did. In fact, they demanded that we smashed up all the computers on which we were storing this material. But I also knew that - again, a partnership with The New York Times - that the First Amendment and the effect of the Pentagon Papers ruling meant that the American government could never do that. And it was a much more permissive environment to publish out of New York than out of London, sadly. DAVIES: This is an amazing moment (laughter) in the story where in the Guardian offices - I mean, you knew that there were other copies of this material in New York, so it wouldn't be permanently lost. But there was - you thought you had no choice but to let these government agents come in and physically destroy the hardware. What were they using? What were they doing? RUSBRIDGER: Well, it turns out that it's remarkably difficult to damage a computer so that it's - that it is of no use to anybody else. And it involved a very elaborate and dusty and noisy morning in the basement of The Guardian with drills and angle drivers and degaussers and all kinds of weird equipment destroying specific chips and bits of the keyboard and bits of the hard drive and bits of the memory board under the watchful eye of GCHQ. That's the equivalent of the NSA technicians. And it seemed to me a piece of theater because I had told them that we had a copy in New York with The New York Times and with ProPublica. And so this was not going to stop our reporting. But it seemed like a piece of theater to be able to say to somebody - look; we've smashed up The Guardian's computers - and somebody would feel better. DAVIES: And did you publish photos of this, or were you restrained from that? RUSBRIDGER: We (laughter) somebody was filming it on their iPhone. And a couple of weeks later, we did do a little video of what it looks like when the state comes in and physically demands the destruction of your equipment. It was a moment - and the mayor of Leipzig came to see me a couple of weeks later to present me with the Freedom of Leipzig (ph) or something because the German state, for all kinds of reasons that we understand if we know our 20th-century history, is very sensitive to the power of the state. And he thought this was like burning books. And initially, I saw it like that. But later, I thought, actually, there's a more optimistic way of looking at it, which is that, in the modern world, it is very difficult to prevent good information - and, sadly, bad information - but it's very difficult to prevent good information from being published because it's like water. You can't control it in the way that you could even 50 years ago. DAVIES: One impact of this difference between the press law in the United States and the United Kingdom is that if you are a newspaper or a news organization and you want to deal responsibly with some very sensitive information, you'd probably want to go to the government pre-publication and say - this is what we have; A, can you respond? B, are there things that we might want to exclude? How is your interaction with the British government different from what The New York Times or The Washington Post can do with the White House and the Pentagon? RUSBRIDGER: Well, I found the American authorities more mature. I did a debate with the former general counsel of the NSA at some point in New York. And he said, look; we despise Edward Snowden, disapprove of what he's done. But once it's in the hands of journalists, we will work with the journalists. And we're not going to try and jail them or disrupt them or prevent them. And that is a mature atmosphere in which you can start a dialogue. And we found we would ring up the NSA or other agencies and say - look; we have this document. Do you want to get it, and do you want to talk us through about any particular sensitivities that you have or to help us understand it? And we could have those conversations. The Brits tended to say, I'm afraid we can't confirm whether that document is a real document or not. And we have no intention of discussing it with you. And they were two completely different approaches. And I must say, I found the American approach better. The Brits eased up a bit towards the end and began to have those conversations. But I thought America is a more open society for that kind of information and reporting. GROSS: We're listening to the interview FRESH AIR's Dave Davies recorded with Alan Rusbridger, the former editor of the British newspaper The Guardian and author of the new book "Breaking News: The Remaking Of Journalism And Why It Matters Now." We'll hear more of the interview after a break. And jazz critic Kevin Whitehead will review a new solo album by pianist Kenny Werner. GROSS: This is FRESH AIR. I'm Terry Gross. Let's get back to the interview FRESH AIR's Dave Davies recorded with Alan Rusbridger. Rusbridger was editor-in-chief of the British newspaper The Guardian for 20 years, when the paper struggled with the transition to the digital era and still managed to break important stories, like the British tabloids hacking private cell phones and stories related to classified documents leaked to WikiLeaks by Chelsea Manning. Rusbridger is the author of the new book "Breaking News: The Remaking Of Journalism And Why It Matters Now." When they left off, they were talking about The Guardian's reporting on documents leaked by Julian Assange and Edward Snowden. DAVIES: When you published this material, particularly the Ed Snowden documents, the government obviously objected and condemned you. You were hauled before Parliament - some question about whether you might even be charged. What about the rest of the British press? Did they come to your defense? RUSBRIDGER: The rest of the British press was a bit silent, I have to say - not all of them, but some of them. And one or two of them were hostile, which was in complete distinction with editors from the rest of the world who, I think, are more used to reporting aggressively and inquiringly about national security. So there wasn't a wall of support within the British press. And I think that's partly because, unlike Germany, we think of our security services, and we think James Bond. We think Judi Dench. We think Enigma. I mean, I'm being slightly facetious. But we have a bit - we feel we have a benign relationship with our security services - absolutely not in Germany and I think less so in the States and other parts of the world. But the fundamental thing is do you accept that an editor has the right to make independent judgments about whether to publish or not. You know, by all means, criticize us for whether we got it wrong and made wrong judgments about it. But an editor has to be able to decide to publish something even if the state is saying this is going to cause untold damage. DAVIES: Right. When the Snowden material was published, I mean, your patriotism was challenged, as were many others. And people were saying that this had done terrible damage. I mean, there were newspaper columns saying that you were the best friend of Britain's enemies. What was the impact of the Snowden revelations? I mean, in the end, how did this information affect our understanding of government power and surveillance? RUSBRIDGER: Well, I think what Edward Snowden was trying to do was saying, look; we are as a democracy - as democracies at a turning point. You can go down the Chinese route, in which there is no firewall between the Chinese equivalents of Facebook and Google and the state. So the state knows where you are at all points. It knows your medical records. It knows who you are talking to. It knows what you're searching for. It knows about your romantic entanglements. It knows about your mental health. It knows, if it wants to, everything about everybody. And Snowden was saying, we are now at a point where if we don't establish a firewall between our digital communications and the government, that we will be surrendering that kind of freedom that we thought existed. And that seems to me a very, very profound question to be asking. And what happened as a result of the Snowden revelations was that those discussions were had. And lots of courts came out and said, well, actually the security agencies in Britain and America hadn't been acting entirely legally. And I found that the more mature intelligence agents that I spoke to said actually this was a debate we had to have. We couldn't carry on scooping up all this information and not getting sanctioned to do so. DAVIES: What was it like dealing with Julian Assange? RUSBRIDGER: Well, Assange and Snowden are often bracketed together as though they're the same. In fact, they're almost opposite. If you think what Edward Snowden did was to hand over his material to journalists - three of our journalists, including The Washington Post - and said, you choose. And once he handed it over, he played no part in any of the editorial decisions. Assange is - I think of as an information anarchist. He doesn't really like journalism or journalists. And he doesn't believe in the idea of gatekeepers, of people who are the arbiters on society's behalf of what they read or not. So his instinct was just to dump all the information out there, and people could read it and make their own minds up. And they're obviously very difficult - very different approaches. And he was a difficult man to work with for that reason because we thought we should be redacting and reading for libel and for potential damage and for many, many dangers on our horizons. And so in the end, I don't think we were the only people in the world who had fallen out with Julian Assange. But it became an impossible relationship. DAVIES: Right. Was there a particular moment where you felt you just had to cut ties with him - a deal-breaker? RUSBRIDGER: Well, there were moments along the way. I remember him walked into my office late at night one day accompanied by two lawyers and announcing he was going to sue us. And that ended up at 2 o'clock in the morning after a long negotiation. So that was never an easy comfortable relationship. And of course, once he went to Sweden and got involved in very complicated allegations of sexual assault, which weren't - you know, nothing to do with our joint enterprise of reporting - we felt we couldn't just say, well, he's our guy. He's our source. We stand with him. And I'm glad we didn't. But I think he felt to some extent betrayed by us. He thought we were going to be on his side in everything. And that was probably the straw that broke that particular camel's back. DAVIES: When he stormed into your office with the lawyers, what was his beef? RUSBRIDGER: He was very cross that we had decided to enlist The New York Times in the reporting. And he, I think, despised The New York Times. He was very sore about a profile the New York Times had written about him, and so he was beside himself with fury. But we had many other partners, including Der Spiegel - and I think by then Le Monde and El Pais in Europe. And we realized we weren't going to get this show satisfactorily on the road without some American involvement. And I think it's a pointer to some of the journalistic collaborations that have happened more recently on things like the Paradise Papers and the Panama Papers where journalists around the world combine their resources in order to do amazing pieces of reporting. DAVIES: You know, I guess, the underlying question about someone like Assange is can you get good information from bad or badly motivated sources. What's your perspective? RUSBRIDGER: Well, my general view is that of course you think about the motives of sources but more important is to think about the information itself. And so with Assange and with Edward Snowden, we had a treasure trove of information which didn't rely on the source. And by the way, of course, Assange wasn't the source. It was Chelsea Manning. He was an intermediary. So it was better in my mind to set the motivation aside and say look; is this material - does it stand on its own? is it of public interest? Is it responsible to publish it rather than staying awake late at night thinking about the motives of the people who had passed the information? DAVIES: We're speaking with Alan Rusbridger. He edited the newspaper The Guardian from 1995 through 2015. He has a new book called "Breaking News: The Remaking Of Journalism And Why It Matters Now." We'll continue our conversation in just a moment. This is FRESH AIR. DAVIES: This is FRESH AIR, and we're speaking with Alan Rusbridger. He spent 20 years as the editor of The Guardian newspaper, left it in 2015, and he has a new book reflecting on the changes in journalism and the challenges in the digital age. It's called, "The Remaking Of Journalism And Why It Matters Now." You know, all of this raises the question of what journalism these days and whether it can be a gatekeeper, whether it can withhold things because of concerns about national security or who it might harm. And there's another example of whether material makes it into the public sphere, and that was, you know, the Christopher Steele dossier of information - some of it, unverified - about President Trump, which apparently, a lot of news organizations knew about in 2016 during the presidential campaign and chose not to publish this raw data, even though, you know, the Clinton emails were out there and doing plenty of damage. I'm just wondering how you think about that and the role of journalism today? RUSBRIDGER: Well, I think this is the big dividing line between the vertical world and horizontal world - you know, whether you still feel that you need gatekeepers who will arbitrate on what's true and what's not true, and what the public gets to read and people saying, look, you know, we don't need you to do that. Just let us do that. And I found the Christopher Steele dossier because by then I wasn't editing. My first instinct was to think, well, it's the job of journalists is to decide what's true and what's not true and to publish verified information, not unverified information. That's what makes us different from the Internet. But I also think then changed my mind when BuzzFeed published it. Not necessarily very well, but nevertheless, they published it. And I felt myself getting rather angry and thinking, well, why wasn't this published before the November 2016 vote? And why do they think that we can't be trusted with this information? And so I found myself as a reader thinking, actually, they should have published. Somebody should have put this into the public domain. DAVIES: You know, a lot of people, many would make the distinction between what Edward Snowden did - you know, giving a lot of classified information to journalists to make some judgments about what should become public and raise this issue of government surveillance - there's a difference between that and what WikiLeaks and Julian Assange seems to have done in 2016, getting, you know, emails stolen by Russian authorities and using them in a way that affected the 2016 elections. I'm wondering if the fact that Ed Snowden is today in Russia, which was involved in interfering with the U.S. elections, troubles you. RUSBRIDGER: Well, the optics are certainly not good. You know, Russia is a very troubling and unpleasant state in many ways and is no friend of journalism. So it doesn't look good for Snowden to be there. I mean, he didn't want to be there, obviously. He was trying to get somewhere else and was then grounded and then found that his life had changed and that the next bit of his life, possibly the whole of the rest of his life, was going to be in Russia. I mean, I talked to him recently because I patched him into my college in Oxford, Lady Margaret Hall, for a conversation. And I asked him about this. I mean, one thing is that he does regularly speak up against Putin and about the Russian government's attitude to human rights. I mean, the implication that some people say is that he must therefore be a Russian spy, or he must be in their pay or he has given them the information. I don't believe that. And actually, no one, even in the intelligence community, has actually come out to say that. I think they know that he ended up there involuntarily. And, you know, my reading of Snowden is that he had a view of the American Constitution and of the rights of the individual versus the state and felt that he has a duty as a citizen to wave a big red flag. And that's what he did, rightly or wrongly. You can disagree with him or not, but I think it's a complete misreading of him to say that he was in league with the Russians. DAVIES: And you actually spoke to him not so long ago and asked him about this. What did he say? RUSBRIDGER: Well he did a conversation in Oxford, as it were. I mean, he was in Moscow. But, you know, he's no fan of the Russian government. And he, possibly at some risk to himself, says so. So he's not defending Russia, and he says that he has no contact with the Russian authorities. And I have no reason to disbelieve him. DAVIES: The name of your book is, "The Remaking Of Journalism And Why it Matters Now." There are a lot of players in our information infrastructure, but from the chair that you held for 20 years, the editor of a major newspaper, what should people in that position be doing these days differently? RUSBRIDGER: Well, it boils down to this question. Two questions. The public service. What is the public service that we think we're performing? And this is your trust. You know, why is it that when you think - you might think that at this time of all times, people would turn to journalists and say, well, you're the people we trust. Whereas in fact, nearly all the polls on trust show that journalists are not generally trusted. So I think you have to say, well, how would we regain trust? And I think it's not enough just to say, we're journalists; trust us. And I think social media has some answers. If you look at the best of social media, you have some very good, intelligent, funny expert people who are talking to each other and listening to each other and to each other. They don't say, trust me. They say, here's my evidence. Here's my link. Here's my screengrab. This is how I know. But if I'm wrong, tell me. And it's a different kind of information sharing and a different kind of dialogue from the printing press model, which is, you know, here's the paper. And we, essentially, are not very interested in hearing from you. DAVIES: We have a president here in the United States now who regularly calls published reports fake news and says the media are the enemy of the people. What's been the impact of Trump's relationship with the media? RUSBRIDGER: I think it's been good and bad. I mean, the bad bit, obviously, is the attempt to delegitimize the media and to turn people who are actually, to my mind, friends of the people into enemies of the people. And that's ugly, and it's dangerous. But I think the response of people to seeing even a president regularly lying or putting false information into the public domain is to think more fondly of journalists. So, you know, the so-called Trump bump in which people turn to the news organizations that are doing great reporting and saying, we're willing to support you because we recognize you are our last, best hope in society. So I think it's both appalling and encouraging. DAVIES: Well, Alan Rusbridger, thanks so much for spending some time with us. RUSBRIDGER: Thank you so much. 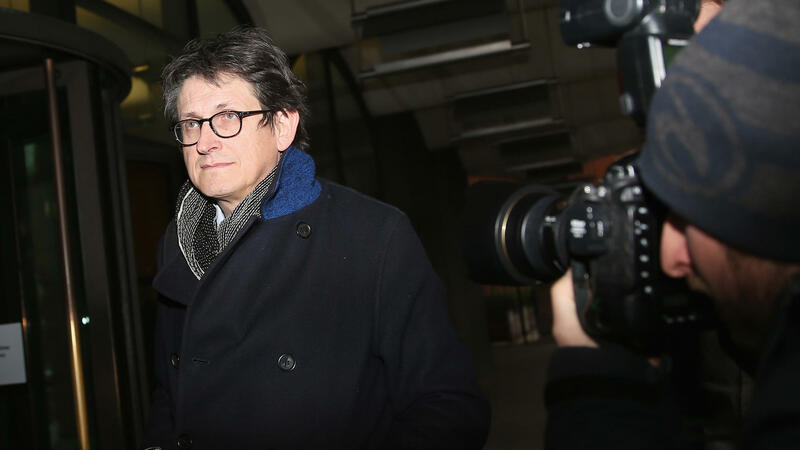 GROSS: Alan Rusbridger is the former editor of the British newspaper The Guardian and author of the new book "Breaking News: The Remaking Of Journalism And Why It Matters Now." He spoke with FRESH AIR's Dave Davies, who is also WHYY's senior reporter. After a break, jazz critic Kevin Whitehead will review a new solo album by pianist Kenny Werner. This is FRESH AIR.